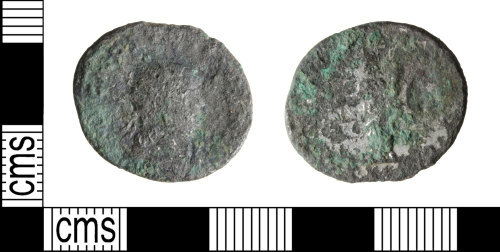 A copper-alloy Roman radiate of Tacitus (AD 275-276), dating to the period AD 275-276 (Reece period 14). AEQVITAS AVG reverse type depicting Aequitas standing left holding scales and cornucopia. Mint of Rome. Cf. RIC V.1, p.334, no. 82.